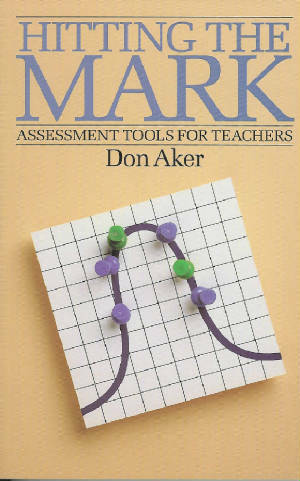 A classroom teacher for 28 years and a literacy teacher mentor for five, Don has created a number of resources for educators, among them his book Hitting the Mark: Assessment Tools for Teachers, which outlines practical ways to assess student performance fairly and accurately while attending to curricular outcomes and a wide range of student ability. This book offers time-saving approaches to anecdotal reporting as well as helpful suggestions for assessing both process and product, essential elements of assessment for and of learning. Among other materials Don has written to support educators is the document Essays Say—This…, a resource prepared for grade 9 English language arts teachers and available from Nova Scotia's Department of Education. Besides outlining the various kinds of essays and providing numerous tips for writing in that genre, the document describes the qualities of an effective essay using the Write Traits framework and offers descriptors of each trait at four different levels of achievement. It also includes a sample student essay and offers an assessment of it using this framework, detailing both the student's areas of strength and areas of need. Teachers interested in receiving guides for Delusion Road, Running on Empty, The Fifth Rule, The Space Between, One on One, The First Stone, Stranger at Bay, and Of Things Not Seen may request them by emailing Don at mail@donaker.com. Also, teachers interested in conducting an author study focusing on Don's work should refer to the Nova Scotia Department of Education teaching resource called Teaching in Action, Grades 10-12, which includes detailed suggestions for such a study as well as three of Don's short stories and related learning activities. Click here to access a free PDF version of Teaching in Action, Grades 10-12. 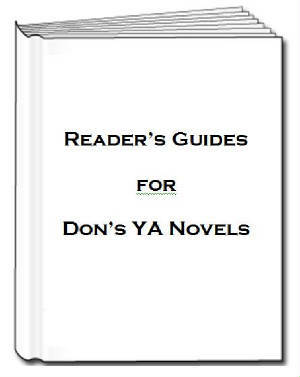 Please note that Don's reader's guides do not include chapter summaries.